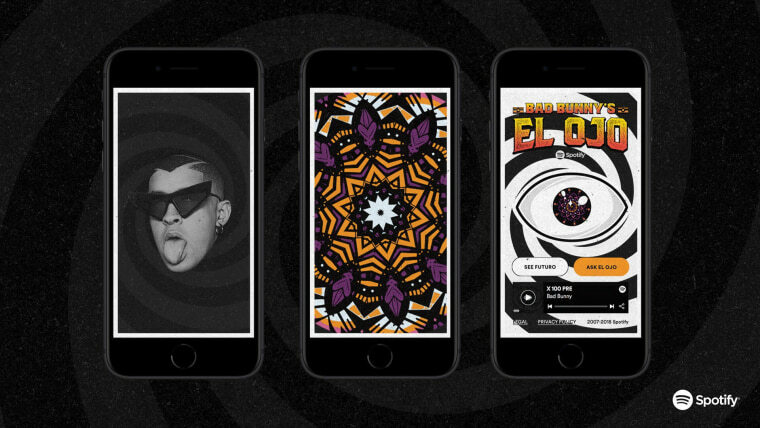 The Latin trap king’s “El Ojo”, a collaboration with Spotify, will deliver personal forecasts in celebration of his debut album. For fans wondering why Bad Bunny, the Latin trap king who’s had a hell of a year, showed up to the American Music Awards in October with a third eye, let’s just say you’re in for a real treat. In 2018, the Puerto Rican rapper and FADER cover star earned everything from a Billboard No. 1 with Cardi B’s “I Like It” to a feature from Drake on top-charting “MIA” to collaborations with J. Lo, Will Smith, and fellow reggaeton and Latin trap stars J Balvin, Ozuna, Arcángel, and more. His signature heavy baritone has fluttered across some of the year’s most streamed songs and he hasn’t even put out a proper album yet—until now. It’s no secret that part of el conejo’s appeal lies in his eccentric, charmingly goofy sense of style. From flamboyant sunglasses to an obsession with overalls, Bad Bunny is quite the show-stopper. But when his now-iconic third eye appeared on the AMA’s red carpet (“a powerful eye to see everything, the truth,” he claimed), Bad Bunny’s reputation for embracing the sartorially weird and unexpected crystallized. 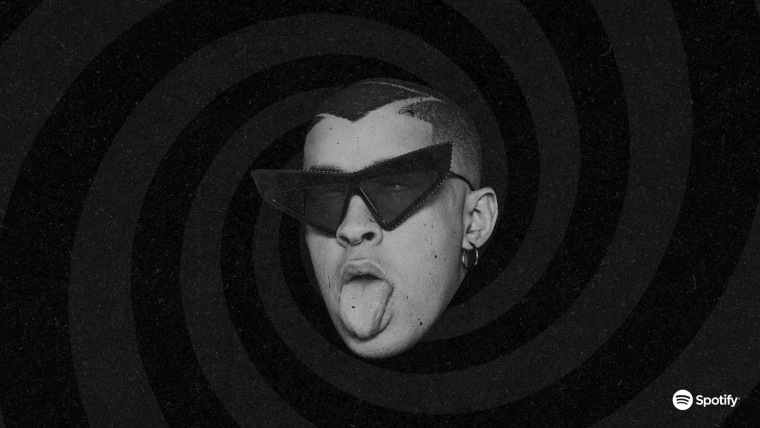 This week, in celebration of his new album, X 100PRE (whose cover also features his forehead appendage), Bad Bunny is revealing the true purpose of his jaw-dropping fashion statement, and bringing the wisdom of his third eye, “El Ojo”, directly to fans. 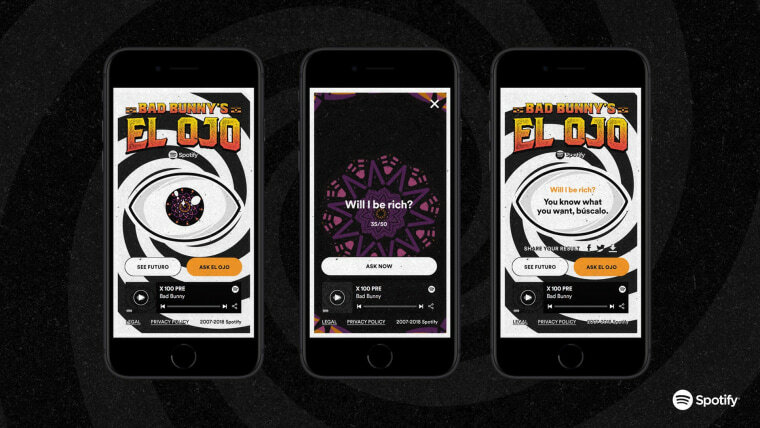 Whether you’re itching to know if your crush is your soulmate or if you’ll land your dream job next year, El Ojo has an answer for you. Don’t know what to ask? El Ojo will reveal a 2019 prediction for you anyway. Bad Bunny’s all-seeing eye is bilingual, fluent in Spanish, English and Spanglish, and its wisdom is coded with song titles from X 100PRE. Leave it to Bad Bunny, Latin trap’s funniest and flashiest constituent, to release his highly anticipated debut alongside an endearingly wacky experience. Gather your burning questions and deepest desires, and visit Spotify and Bad Bunny’s El Ojo at www.askelojo.com.